You can take any gift given to you and make it a work of art! What a lovely gift! 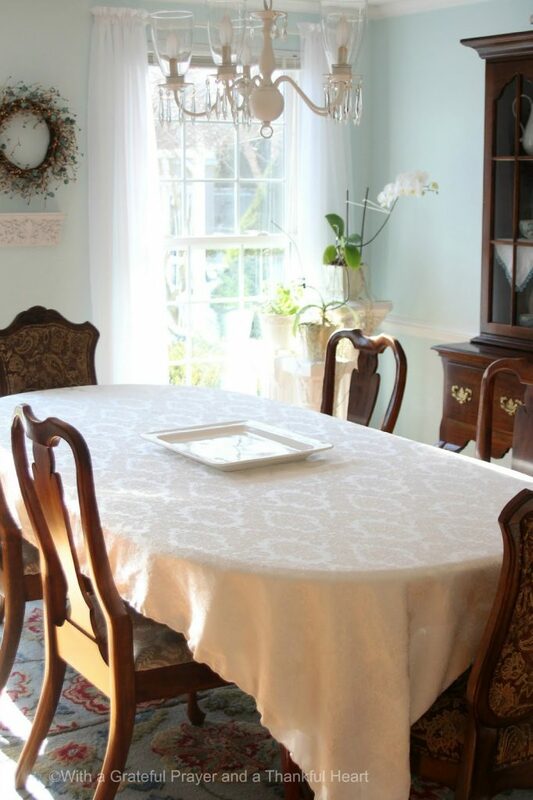 Your dining room looks so pretty! You just have a way of putting it all together! I smiled when I read the light happening with John, because I can relate to that story. I really like the rug too, and cannot believe how well it matches your décor. Thanks so much for sharing your sister's kindness with us. Beautiful–and such a sweet gift! 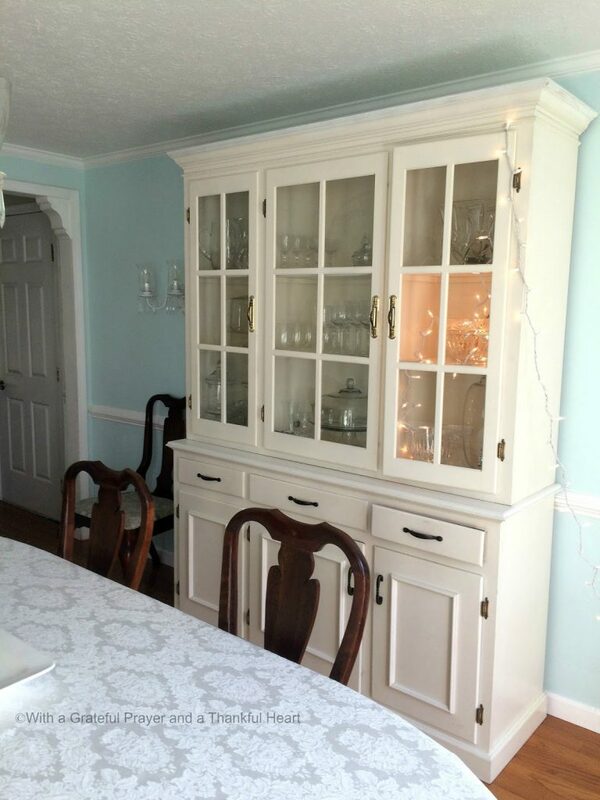 What a beautiful hutch and it looks just perfect in your dining room. I guess it's a good thing the lights popped when they did, right? I can only imagine the damage if it was full of beautiful crystal! 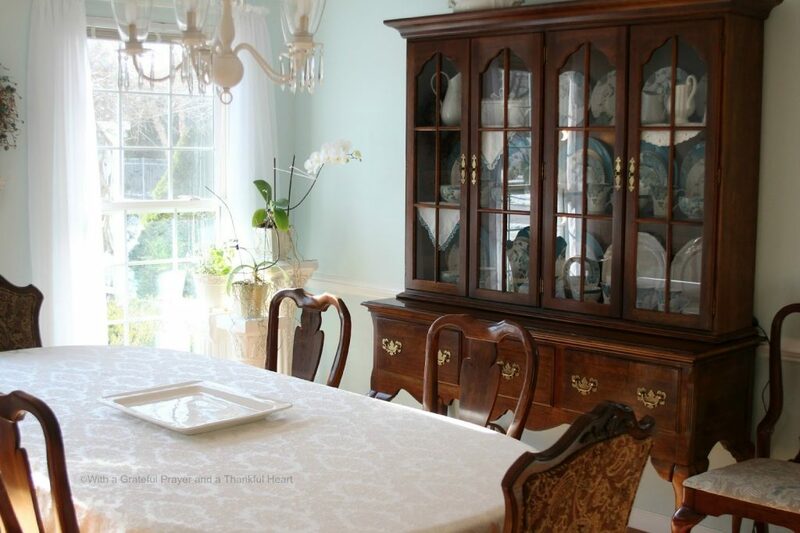 The hutch fits so well in your dining room. I love the mix of painted and wood finishes. The rug is so pretty, too. What a great sister! How wonderful that she gave you that beautiful hutch! LOVE your dining room and your right those rugs are just perfect in there…glad you figured out a way to utilize them. And I am with the rest of the gals here….men! lol But whatever would we do without them? haha Enjoy your day! wow! 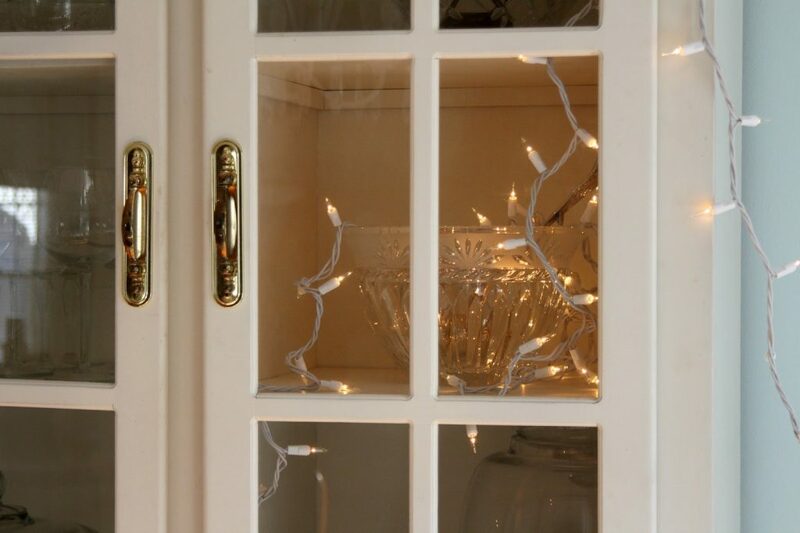 You have two china cabinets in your dining room, that is wonderful. What a great gift from your sister. It all certainly suits your room – looks gorgeous, in fact! Oh it looks wonderful!! Like it was made for your dining room!! 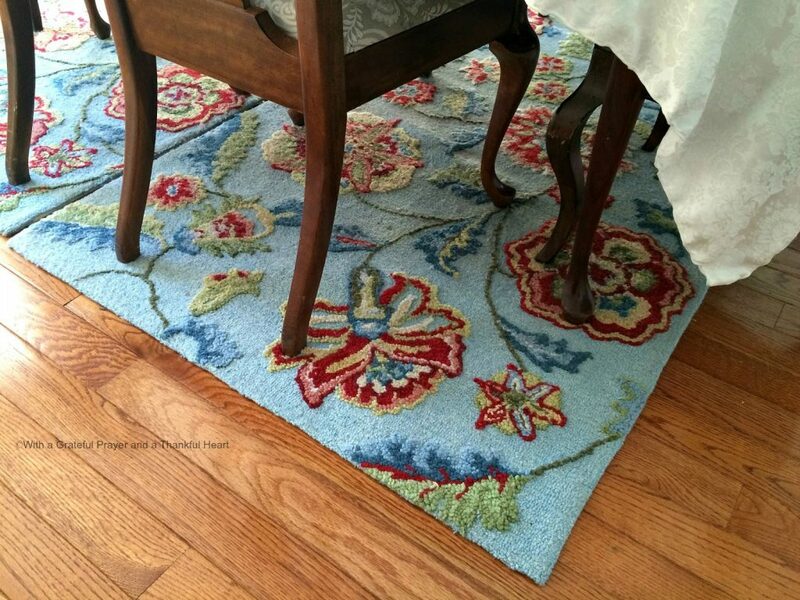 Love the rugs…the pattern and colors are beautiful. How wonderful a gift! It is lovely and I see what you mean about holding a lot. That is always a problem for me, storage! When I put anything in the attic. It is if it doesn't exists. Maybe that's a good thing, : ). Have fun decorating and arranging things! I will look forward to seeing it when you are done if you post another picture. Hope so! I can see why you're excited about the new cabinet–it's beautiful! and I even like the twinkle lights. I've used them lying down on shelving in cabinets. The rug is lovely as is your dining room. I am excited for you! I love that hutch as well. I really like the lighter color, and it looks great in your room. Men…well, what more can I say, really?